This beautiful pendant fixture resembles the delicate seeds of a dandilion flower. 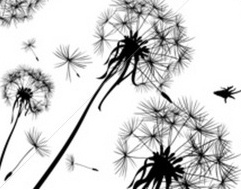 I am taken back to the days of blowing the seeds into the air and making a wish. Find it at IKEA.